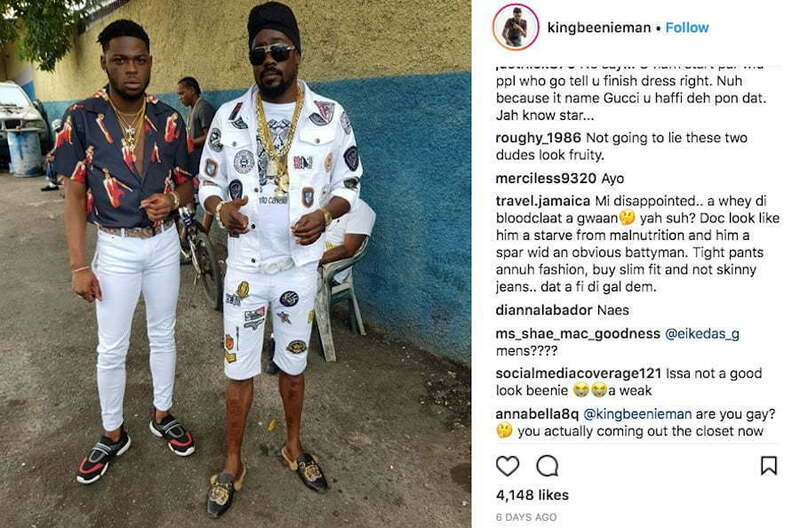 Beenie Man has been getting trolled relentlessly on Instagram after this photo went viral. Yesterday, the dancehall king posted a photo of himself and his collaborator Yxng Bane from the set of their “Vroom” music video shoot. Since posting the pic, fans have flooded the comments section trolling the two artists for their interesting outfits. “I refuse to address that person standing next to my artist,” one fan wrote. 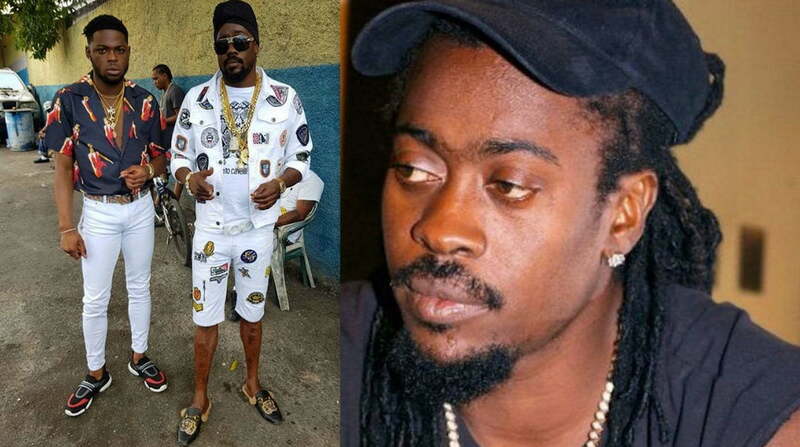 Beenie Man catched some heat from dancehall fans last month when a viral of him dissing Popcaan and his mother Ms. Rona went viral. The dancehall legend later tried to walk back the statement he made in the video but the damage was already done.